Finding the perfect beauty products can be a tricky task—especially when it comes to essentials like foundation. Trying to determine the right coverage, shade and formula—all the while not being able to test foundation out in the store—can make for a stressful experience. 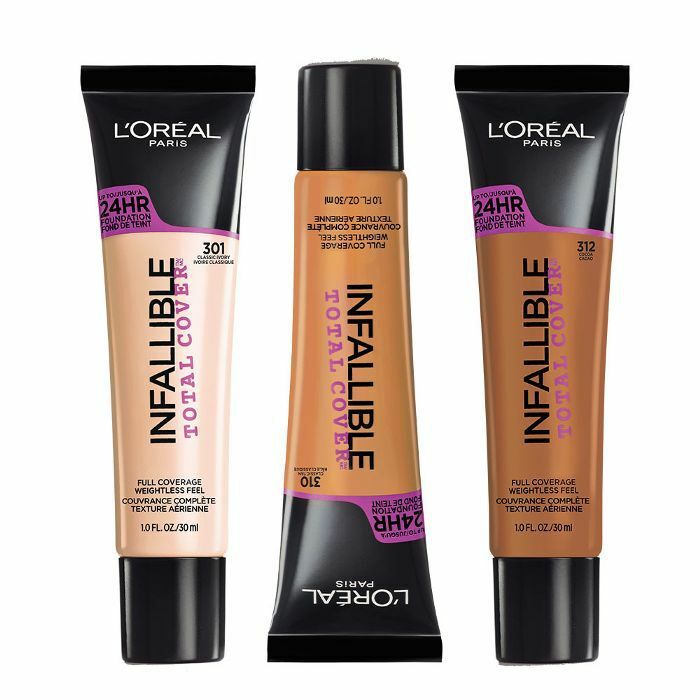 Luckily for us, we have L’Oréal’s new Infallible Total Cover Foundation and concealing and colour-correcting palettes on our side. Here’s how to perfect your complexion in three quick busy morning–approved steps. In search of a fix to your skincare concerns? Look no further. One of the best tips that we’ve ever gotten when it comes to makeup application is to correct before anything else—you may not even need to use as much concealer or foundation if you’ve balanced out the imperfections first. This five-piece palette comes with the four shades you need to conceal any concern—peach for hyperpigmentation, yellow for dark spots, green for redness and purple for brightness—plus a sponge to help you blend along the way. After you correct, conceal. 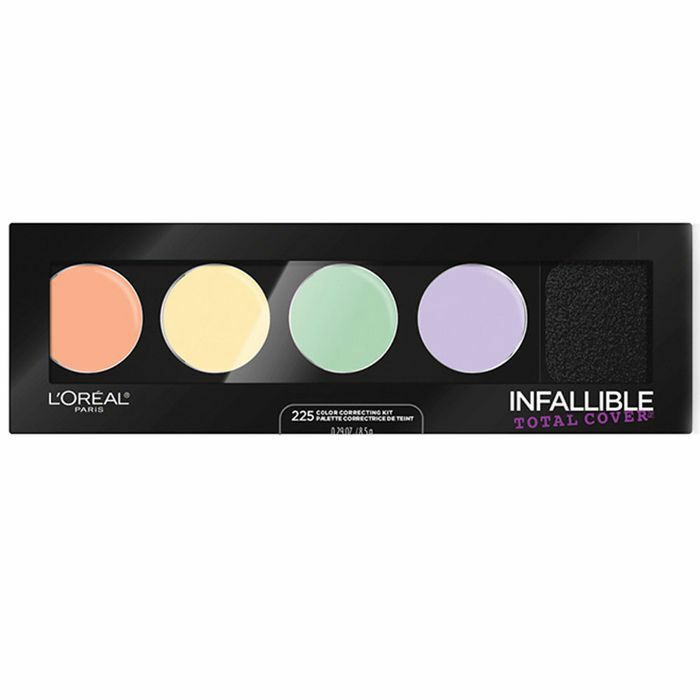 This palette allows you to neutralize those colours you just added to your complexion while also helping contour and sculpt. 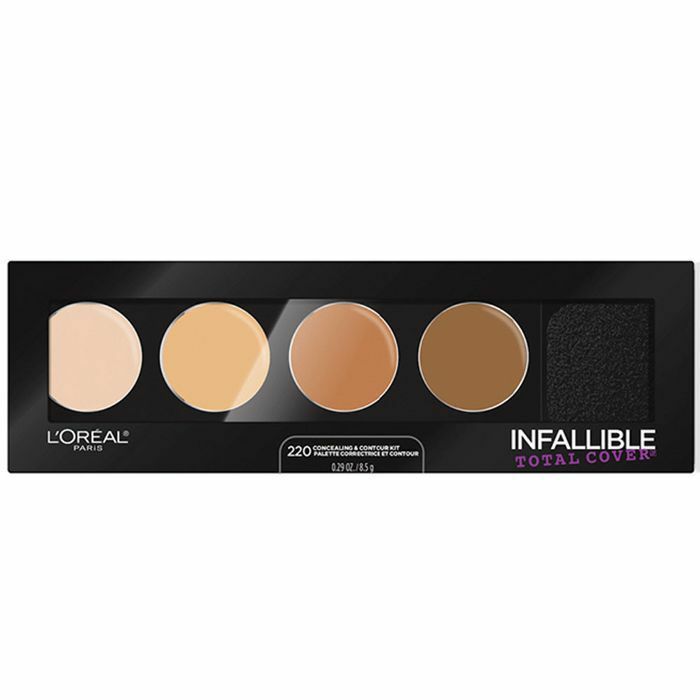 Whether you’re concealing blemishes or dark spots or adding dimension with the contouring shades, this palette will make sure only the parts you want people to see show through. Whether you’re trying to hide dark spots or boost a dull complexion, this lightweight formula has you covered (it even conceals tattoos—yes, really). Plus, with 12 shades, you’ll be able to find the right match for your skin tone. The best part? With a 24-hour wear, you know that your look will stay put and outlast even your busiest days. How do you perfect your complexion? Sound off in the comments below.